Students that sign up for this option will use our car, at our facility for their driving test. Once they pass, students will do to the DMV to get their physical license. We help take care of all of the paperwork. This is the most stress free way to take your test. Pros: We do the paperwork, students can make appointments months in advance, we generally have appointments sooner than DMV, students know the maneuvers in our familiar car, waiting room is quiet and stress free. Should you fail, we can reschedule your test right then and there! Cons: 72 hour wait period to pick up your driver's license. Over 20? Or don't want to wait 72 hours for your test? Choose this option. All you need to do is schedule your test with the DMV. We handle the paperwork, we pick you up at home (or at work, or at school) and take you to the DMV. You use our car for the driving test, pass and walk out of the DMV with your license in hand. We then drop you back at your house (or work, or school). Just let us know your test info (time, date, location) at least 2 weeks in advance. Pros: We handle everything but the scheduling of the test! Cons: We charge you to handle everything but the scheduling of the test. Should you fail and reschedule, you will be charged again. 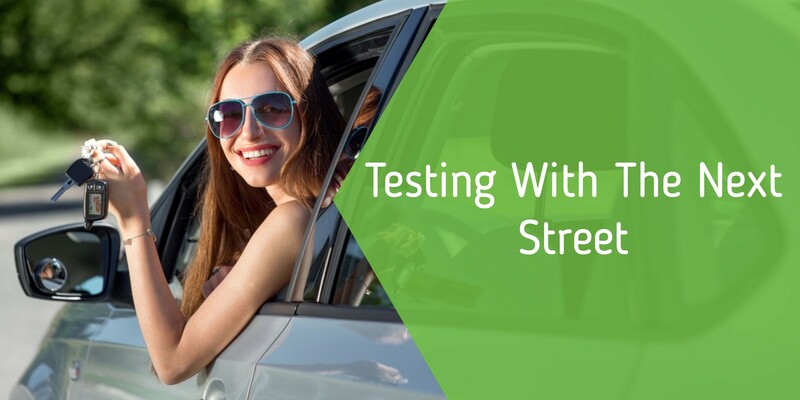 Aren't sure if your vehicle will pass the pre-test DMV inspection? Choose this option and we'll meet you there with one of our cars. Just let us know your test info (time, date, location) at least 2 weeks in advance. Pros: Our car is guaranteed to pass inspection at the DMV. Cons: You are responsible for getting to and from the DMV. Here are the three options we have for you on the day of your Driver’s License Test. You decide which makes things easiest for you. After all, this is your ticket to freedom. Login to your Student Portal to add a testing package, or give our Customer Happiness Center a call at 860.631.4292.